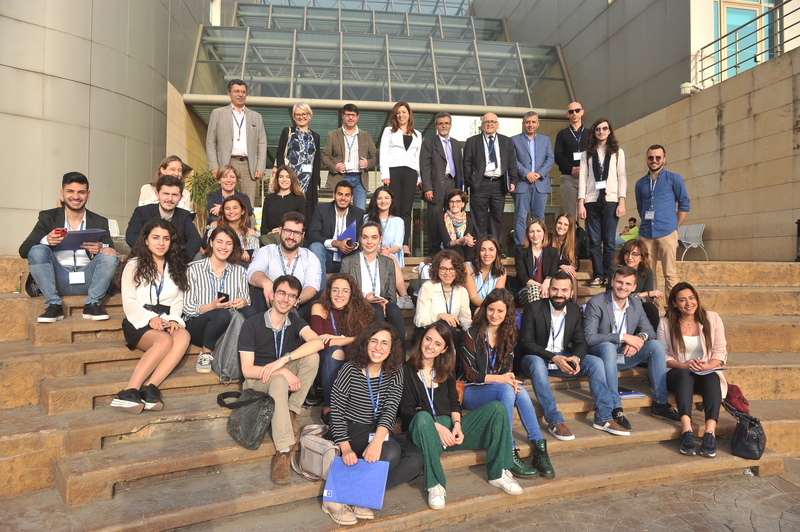 The StEER-Leb project on Student Empowerment, Engagement and Representation in Lebanese Universities was officially kicked off on the 22 and 23 of March on the campus of the Holy Spirit University of Kaslik (USEK). This project aims at creating and implementing student empowerment, engagement and representation structures and bodies in Lebanese universities in collaboration with the Ministry of Education and Higher Education. 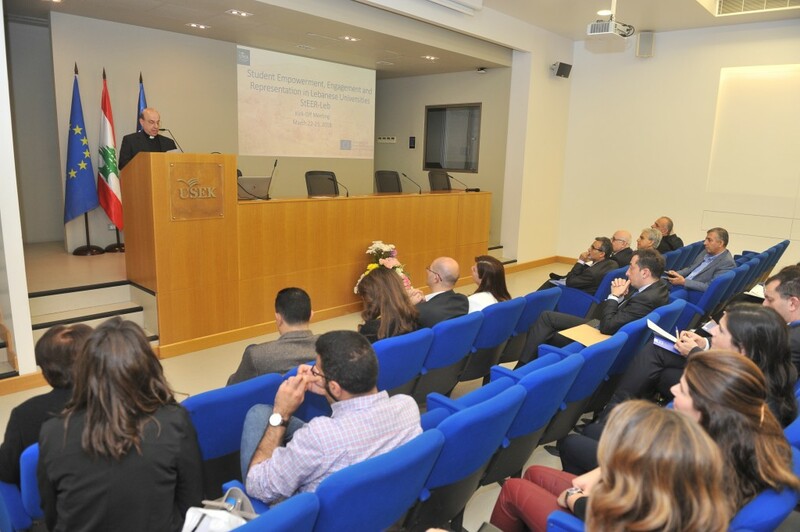 The kick-off meeting was opened by the speeches of Dr. Rima Mattar, USEK Deputy President for International Affairs and Global Initiatives, Dr. Aref Alsoufi, Director of the National Erasmus+ Office, Fr. 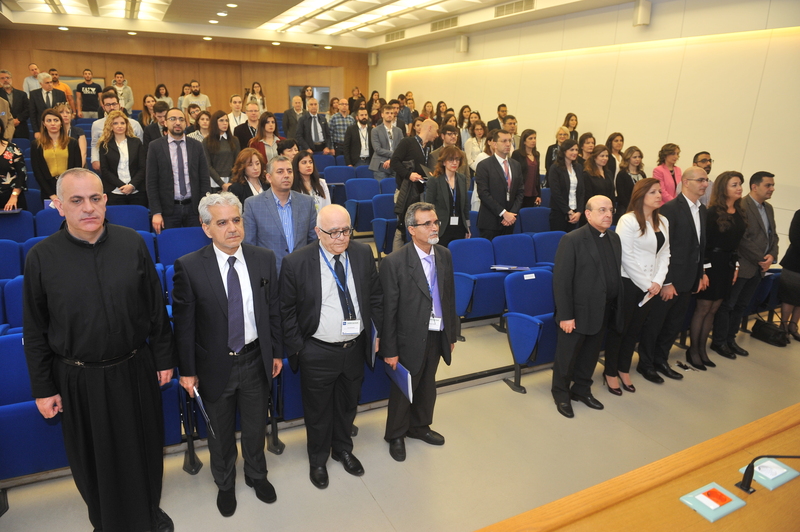 Prof. Georges Hobeika, President of USEK and Prof. Ahmad Jammal, Director General of Higher Education at the Ministry of Education and Higher Education. UNIMED participated together with the partners University Saint-Joseph (Lebanon), Lebanese American University (Lebanon), University of Rouen (France), University of Cadiz (Spain), University of Bologna (Italy) and the Directorate General for Higher Education in Lebanon. The meeting was also attended by a delegation of students from the various universities, who will have an important role in shaping the future of this project. The students exchanged ideas and opinions and agreed on an organizational chart, and through a focus group together with the partners, contributed to the design of a survey which will serve to assess the state of student engagement and representation throughout Lebanon. 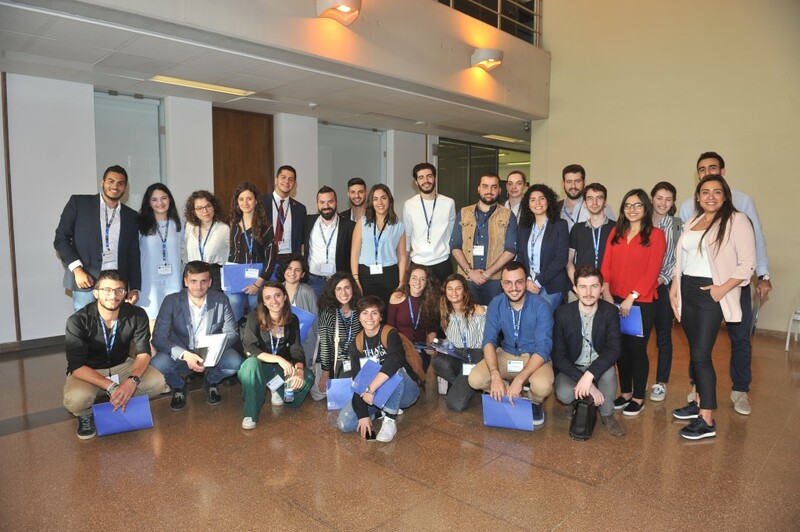 Along the project, Lebanese students will conduct shadowing visits on each of the campuses of the European universities, thus contributing to the exchange of best practices and pave the way for the future.